Note: In honor of a similar post from last year, I thought I’d do an update for 2014. 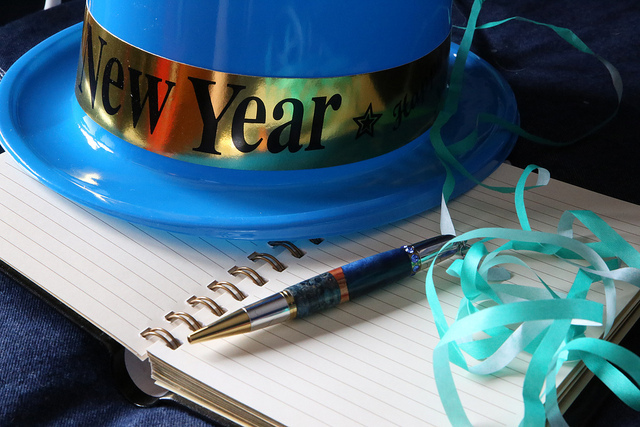 So here are three New Year’s resolutions for your supply chain (from a CEO’s perspective). Traditionally, when a CEO paid attention to his or her supply chain, it meant something had gone wrong. Strategically, compared to other areas of the business, the supply chain was a relative backwater. The conventional wisdom held that so long as you kept pace with your industry’s averages, you were doing fine. Although companies were only too eager to participate in arms races with competitors that saw sky-high R&D, marketing and legal spends, for some reason when it came to their supply chain, they were content to march lock-stop with even their most bitter rivals. Having spent a lot of my time in 2014 in the board rooms and corner offices of companies around the world, I can say without a doubt that this is no longer the case. If the supply chain was once about the status quo, now it’s about disruption. The continued march of globalization, as well as diverse technology trends such as automation, Big Data, and cloud computing have all brought the supply chain to the CEO’s attention. This seems obvious if you’re a retailer, but even manufacturers and logistics providers are realizing that to succeed in the coming years they’ll need to be able to see and respond more quickly to actual end-consumer demand. This means the whole chain, from the retailer to the raw material suppliers, are all working together to give the end-consumer what he or she wants. Companies that are taking this approach are experiencing dramatic increases in consumer sell-through revenue. Just look at what Amazon, a company famous for focusing on its customers, is doing. Most observers agree that its massive building spree of fulfillment centers (adding 50 new facilities since 2010 alone) is setting the stage for same-day delivery throughout the U.S. And if that doesn’t get your attention, how about Amazon’s plan to use pilotless flying drones to deliver packages to customers within a half hour of placing an order? Many of the CEOs I’ve talked to are focused on preparing their companies for this increasingly consumer-driven world. How long does it take to for you and your trading partners to see a change in demand? How much are you spending to address that response? Wouldnâ€™t it be nice to have one application that allowed you to see and respond in real time while minimizing costs? Most CEOs are shocked when they learn just how many IT systems their company uses. Todayâ€™s global company typically uses well over 20 separate applications to manage their supply chain alone. Oftentimes these multiple systems are in conflict with each other, making it very hard (and expensive) to keep up with demand and supply changes. No wonder they rarely seem to react to problems until it’s too late! CEOs (and for that matter, CIOs) want to unify their disconnected systems in a way that provides them with a unified, accurate view of their supply chain. Only then will they be able to incorporate it into their long-term strategic thinking. As companies continue to outsource more areas of their business, CEOs realize that much of what determines their success or failure lies outside of their enterprise. In fact, they are more concerned about this extended value chain risk than risks to company-owned operations. A recent Deloitte survey of 600 executives at manufacturing and retail companies found that 63 percent were highly concerned about risks within the extended supply chain comprising vendors and customers, ranking it among their top-two concerns. This really isn’t surprising when you think about it. Today’s ERP systems (and the applications that run off of them) were built for the vertically integrated supply chains of a few decades ago, where a single company would often source, build, and deliver the product to the end customer. However, with the advent of outsourcing, companies now have many sales channels as well as hundreds or even thousands of trading partners that each own a narrow slice of the demand fulfillment process. Just imagine the tangled internal landscape I described in stocking stuffer number two and multiply it by the numerous outside suppliers, distributors, and customers that most companies work with, and the amount of hidden risk becomes very scary indeed. These three stocking stuffers may not be available at your local brick-and-mortar like regular holiday gifts. However, with cloud technologies you can run multi-party processes that allow all trading partners to work together to satisfy actual end-consumer demand, making this supply chain wish list attainable. The best CEOs are adept at making difficult decisions that set up their company for success in the long run. They seek out the hidden opportunities that no one else can see. Increasingly, these opportunities will be found in their supply chains. Recent studies show that a traditional consumer goods company is carrying twice the inventory that is needed (at a huge opportunity cost) and yet is still only satisfying 96 percent of consumer demand. Make no mistake, disruption is coming. If you’re interested in how to transform your supply chain, I suggest you read the whitepaper, Supply Chain’s New World Order”. Also, if you’re interested in the future of supply chains and would like to learn how logistics providers can transform their supply chains into demand-driven networks, register here for the new webinar “The Demand-Driven Logistics Provider (featuring Resolve)”. Previous Post:Are Supply Chain Orchestration Services Still Science Fiction?